For those who are truly noble, just a subtle hint of gold is enough to portray your status. Wear the Heloise Canvas Dress, adorned with golden ribbon at the neck and sleeve cuffs, to elegantly display your refined sense of fashion. 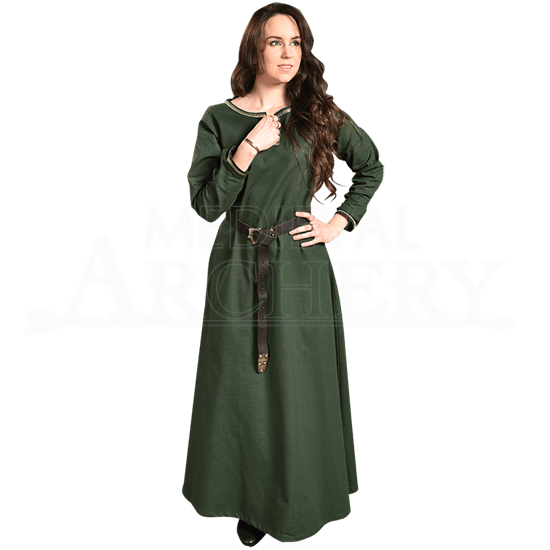 This medieval gown is made of cotton canvas and has a slightly fitted structure that accentuates the figure without holding tight to the body. The round neck features a V-shaped cut at its center for a hint of edge, and golden ribbon in a braided pattern encircles the entire neck hem. Long, straight sleeves sport the same ribbon detail around their close-fitting cuffs. Reaching past the knees and around the feet in its full length, this medieval dress makes a fine addition to the wardrobes of noblewomen, princesses, and well-to-do merchants. 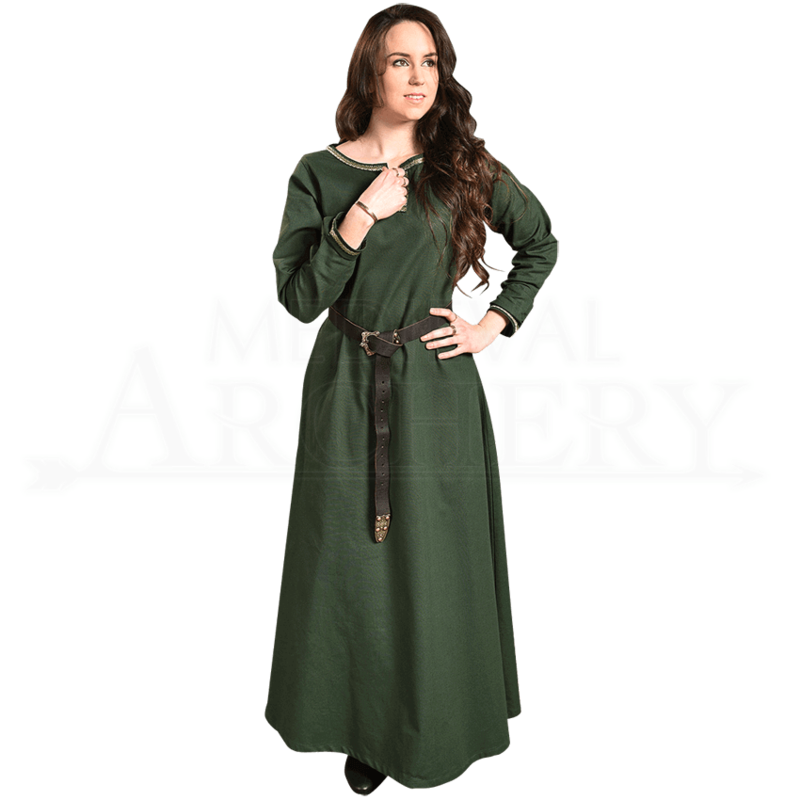 A versatile staple for reenactment, LARP, and Renaissance festival occasions, this lightly detailed canvas gown gracefully holds its own but can easily be accessorized with your favorite accessories to create a unique look.